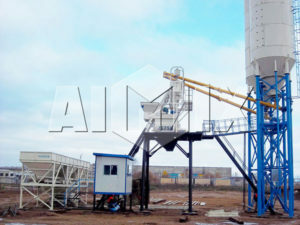 We Aimix Group are one of top concrete batching plant manufacturers and suppliers in China, our concrete batching plant has received a good reputation and taken certain place in the production and marketing with superior advantages of high productivity, good performance, favorable price and long service life. 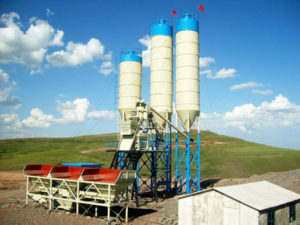 As one of professional concrete batching plant manufacturers and leading enterprise of China construction equipment, our business goals is being the model in our industry and being famous in the world brand; our corporation philosophy is concept guide the ideas, idea promotes innovation, quality casts brand, efficiency improve speed, science creates perfect; our service concept is customer first, integrity-based, and customer satisfaction is our eternal pursuit. 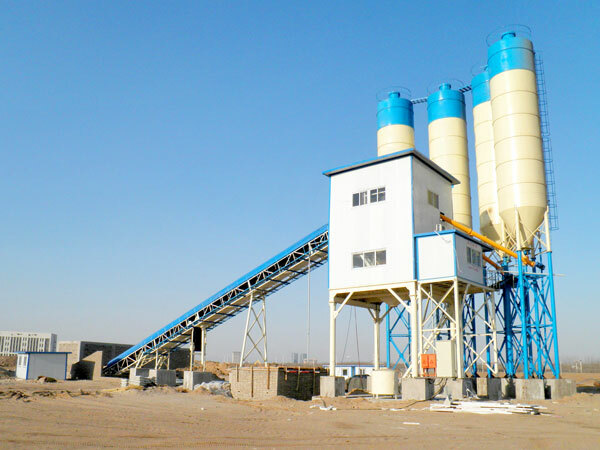 We all know, if you want to buy a concrete batching plant, batching plant manufacturer will be the first element influencing your choice. 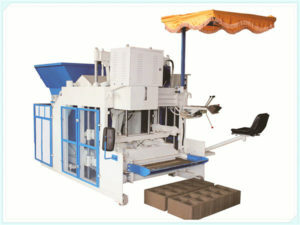 Therefore, how to find a right manufacturer? You must take some points below into consideration. Reputation. For example, if you search on the google for manufacturers, there are many choices for you, can you judge which one is the best? You can have a look about their product page, learn about them by “about us”, form this point, you can get a general idea about their reputation. In addition, you need to see their certificates, if manufacturers don’t have any certificates, you can’t believe them, your budget can’t get a guarantee. Technology. 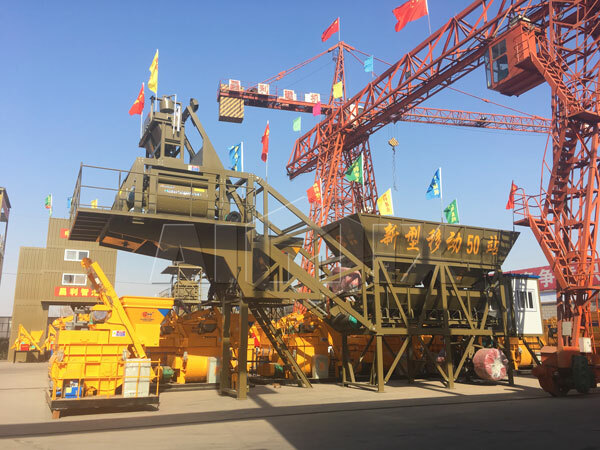 A professional concrete batching plant manufacturer must insist on innovation and will be more willing to learn by itself or learn from others, this point will show you their development condition, as an old saying goes, learning is like rowing upstream, not to advance is to fall back. You can’t get the best machine from them. Scale of factory. 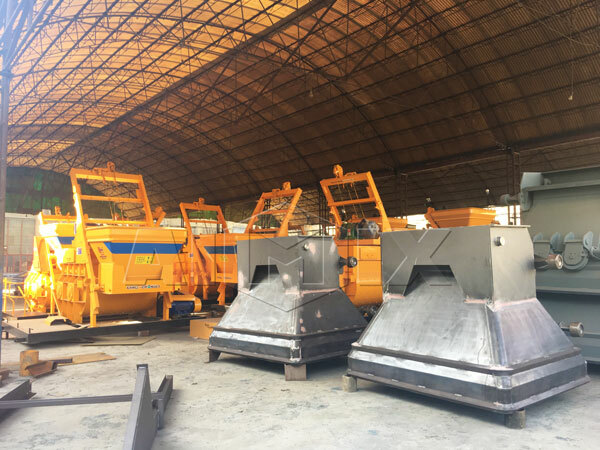 If the factory is very poor and small, you can’t believe them, it also implies that they don’t have advanced production equipment and technology, even professional technicians, for regular factory must be very uniform and well-divided. If necessary, you can pay a visit to their factory, after all, seeing is believing. Service. 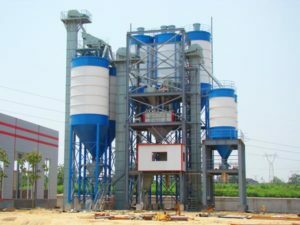 A good and reliable cement batching plant supplier can provide you with the most considerable service, no matter pre-sales service, on-sales services or after-sales services, you must polish your eyes and ask clearly about all of services. Aimix group can offer you such services below, you can have a look. 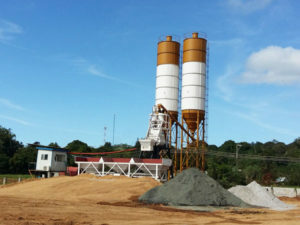 As professional concrete batching plant manufacturers, we can provide you with stationary concrete plant and mobile batching plants for your project. 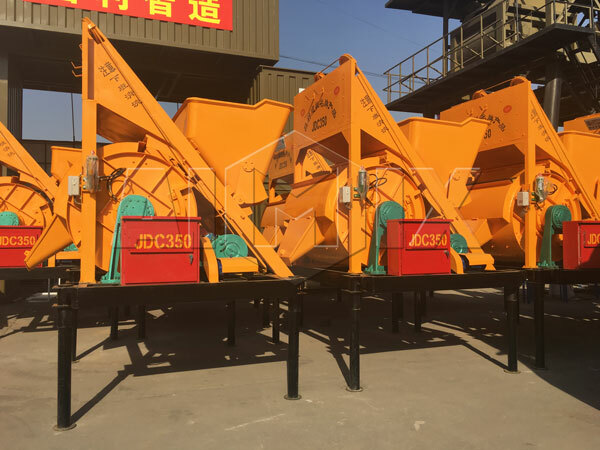 If yo have a large demand for concrete, stationary concrete batching plant will be your ideal choice, because stationary concrete batching plants can achieve high productivity, we mainly have types of HZS25, HZS35, HZS50, HZS75, HZS60, HZS90, HZS120, HZS180 and HZS240, while our mobile batching plants are YHZS20, YHZS25, YHZS35, YHZS50, YHZS75 and YHZS90. 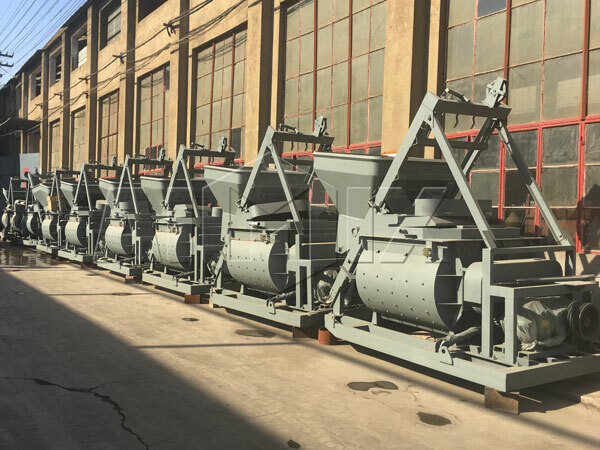 In addition their productivity, you can learn from their mobility that stationary type plant is much more suitable for large and long-period construction, mobile type is fit for small and medium-size project, and it is convenient to install and dismantle. 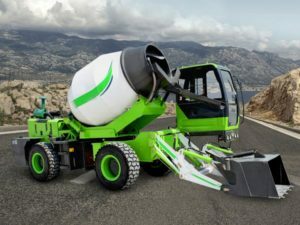 You can choose a right plant for your construction. 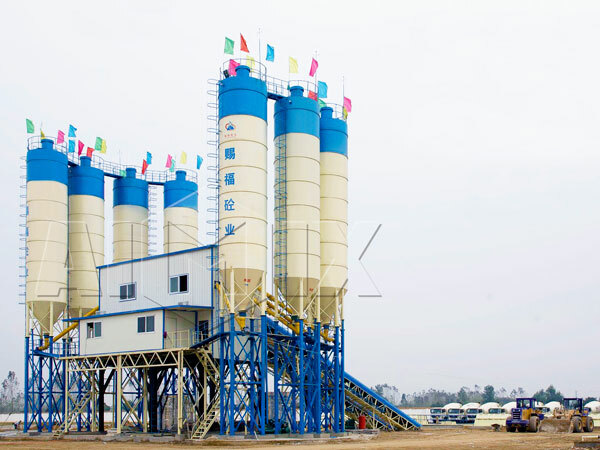 As one of top concrete batching plant manufacturers in China, our concrete batching plant is mainly composed of mixing system, materials weighing system, material conveying system, material storage system and control system and others. 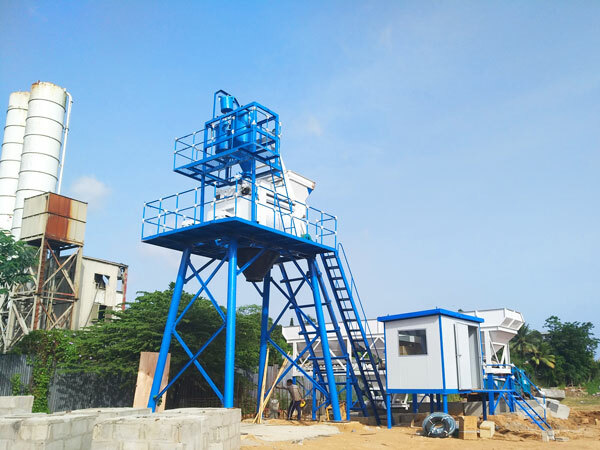 Because its mechanization, high degree of automation, high productivity, it has been commonly used in concrete, long duration and site of quantities of large and medium-sized water conservancy, electric power, bridges and other projects. 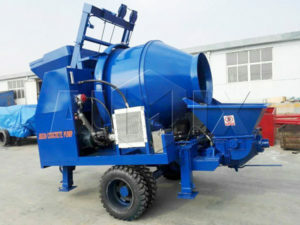 Concrete mixing station has a variety of sophisticated accessories, such as screw conveyors, cement silos for sale, concrete batching machine from we Aimix Group cement batch plant manufacturers , metering sensors, pneumatic components, and these components ensure a high degree of reliability, accurate measurement skills and long service life of the concrete mixing station in the operation process. 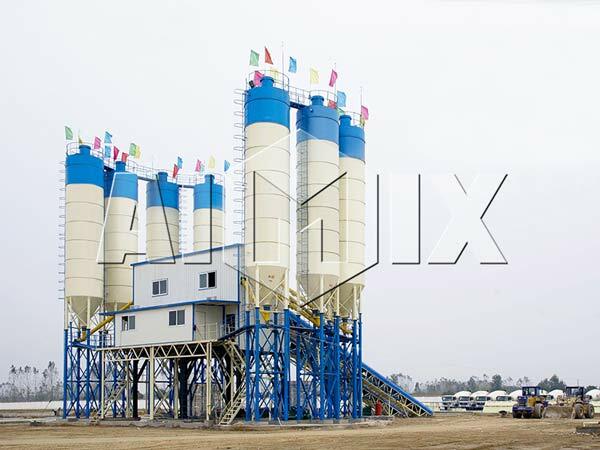 Concrete batching plant of we Aimix Group batching plant manufacturer has good environmental protection function, and powder manipulation are carried out within the whole block system in the operation process. 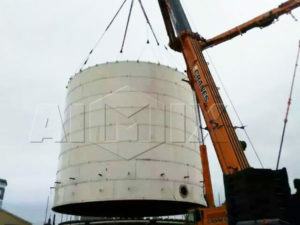 And powder tank adopts the method of high efficiency dust collector or spray mist, which greatly reduce the dust pollution to the environment. 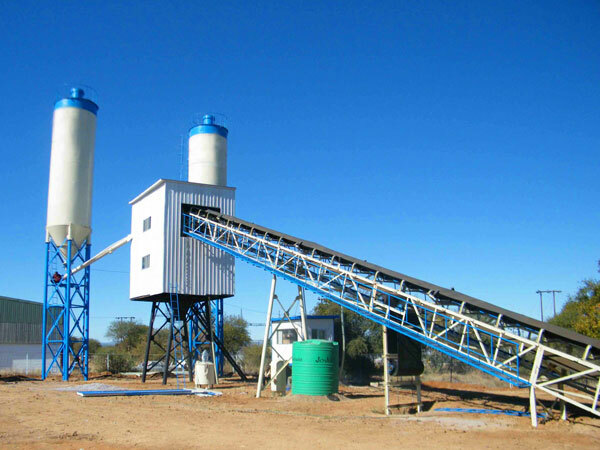 This belt conveyor concrete batching plant mainly includes HZS60, HZS90, HZS120, HZS180 and HZS240. 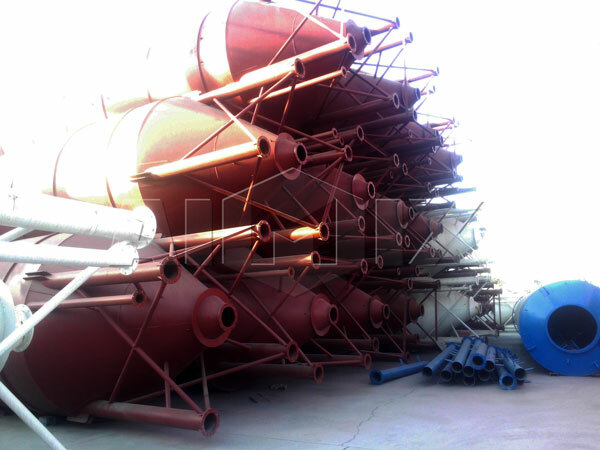 It has advantages of environmental protection and efficient. 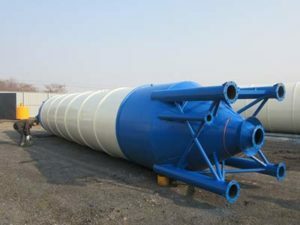 Because aggregate feeding process is conducted by belt conveyor, there is a cover on the belt conveyor, which effectively prevent impurities entering aggregate, what’s more, there is a tower before aggregate enter into JS twin shaft concrete mixer, also improve the quality of concrete to some extent. 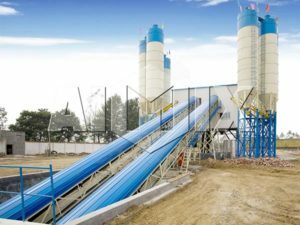 Moreover, belt conveyor has higher efficiency than hopper, save construction time, so improve the efficiency of concrete production, it is under the intelligent PLC control, very labor-saving, if you choose fully automatic control, just one operator can inspect concrete production. However, it is only suitable for large construction, and it has large land occupation. 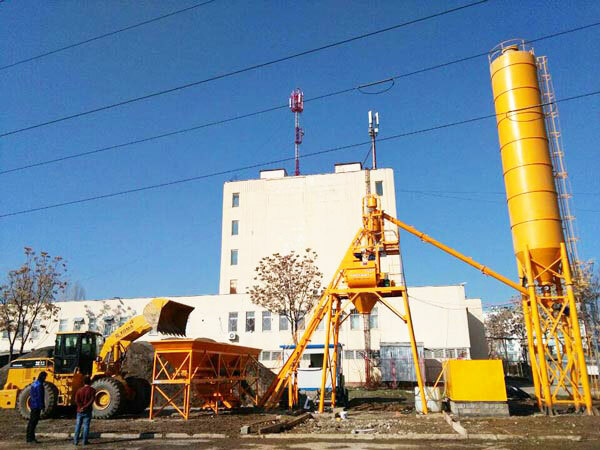 If your construction project is not very big and land is limited, you can choose a skip hoist concrete plant, types of it mainly are HZS25, HZS35, HZS50 and HZS75. 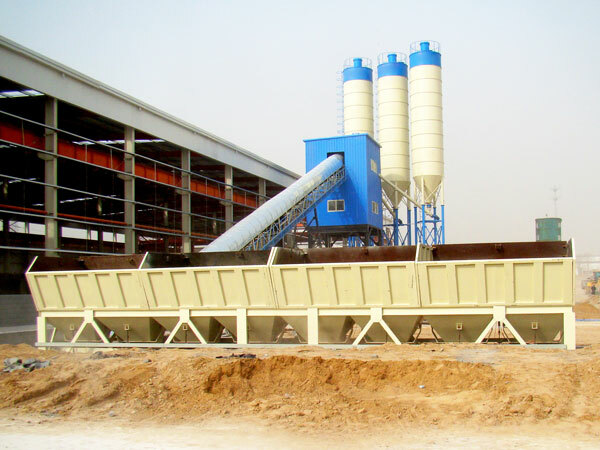 We are one of top concrete batching plant manufacturers and suppliers in China. 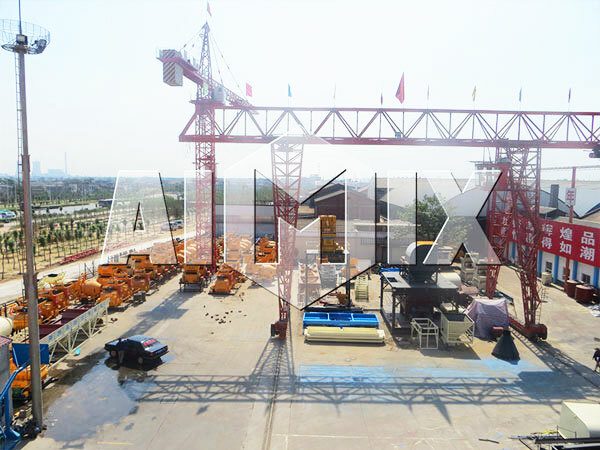 We Aimix Group got Certificate of ISO 9001:2000 and CE with more than thirty years working experience. 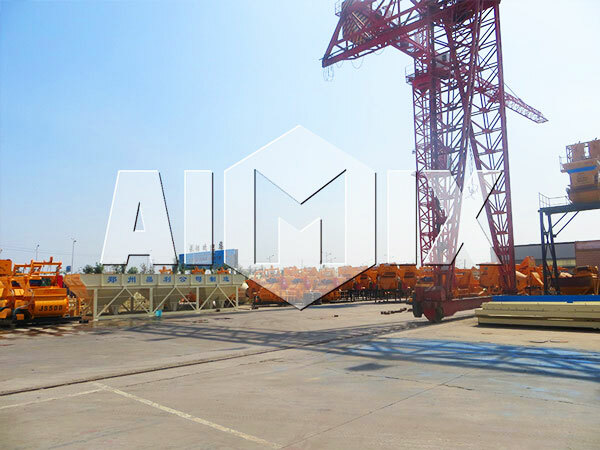 We AIMIX GROUP provide favorable concrete batching plant price, reliable quality and best service of our products with our users and established long-term business with our users around the world. It is really honer that our products were granted “Henan Famous Brand”. 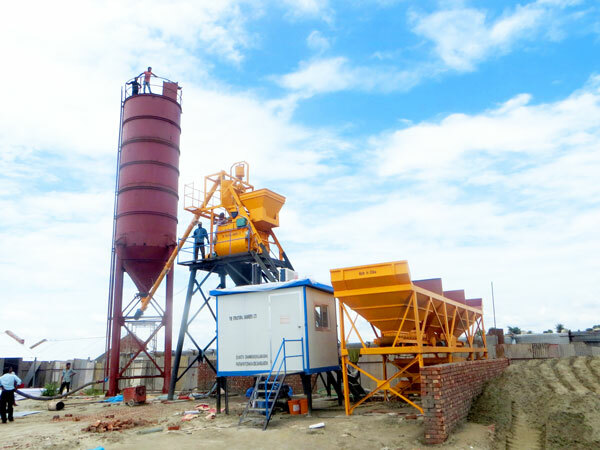 In addition batching plant, we also offer dry mortar plant, self loading concrete mixer, concrete mixer pump, concrete mixer truck, asphalt mixing plant, hollow block making machine, tower crane, screw conveyor, batching machine and other products.